Baseball has been around a long time, and many interesting things have happened during its history. 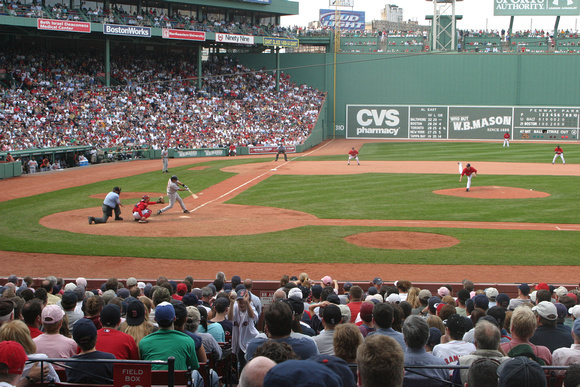 Here are 23 cool facts about America’s pastime. Prior to 1931, any fly ball that bounced over the outfield fence was a home run. Amazingly, Babe Ruth was never credited with one of these one-hop homers, so he would have 660 even if the current home run rule had always been in place. Sluggers Lou Gehrig, Jimmie Foxx and Rogers Hornsby did each pick up a few homers this way. 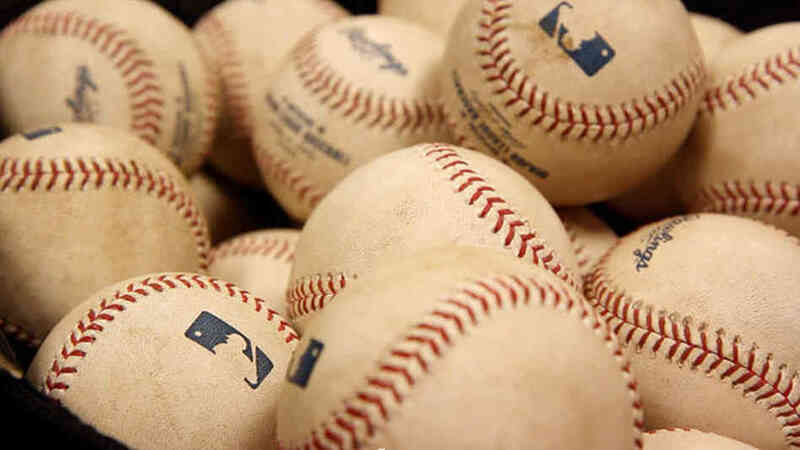 The average life of a baseball in the Majors is six pitches. A lot of cows, cork, rubber and wool dies so we can play our national pastime. Every MLB ball is covered in mud that comes from a secret location in New Jersey that just one man knows. And that man is Jim Bintliff, who owns the mud rubbing company. Take him out, and we’re playing cricket. Between 1885 and 1893 one side of the bat could be flat. Apparently in the nineteenth century they were better prepared for a sudden move to cricket. Gaylord Perry homered right after they put a man on the moon — just as his manager had jokingly predicted. Sometime during the mid 60s, San Francisco Giants’ manager Alvin Dark sarcastically commented that light-hitting pitcher Gaylord Perry would hit a home when a man landed on the moon. Then in 1969, just 20 minutes after Neil Armstrong made one small step for mankind, Perry went deep for the first time in his career. You can’t make this stuff up. Only 347 fans showed up for a Florida Marlins Cincinnati Reds game in 2011. While the temptation is to blame Marlins’ cheapskate owner Jeffrey Loria for the lowest recorded attendance in Major League history, the real culprit here is Hurricane Irene. Alan Embree won a game without throwing a pitch. The Rockies’ relief pitcher entered a 4-4 tie with the Nationals with two outs in top of the eighth and promptly picked the runner off of first base. The Rockies took the lead for good in the bottom of the inning and Embree didn’t return for the ninth. And that is why a relief pitcher’s win/loss record means just about nothing. Don Baylor managed to played in three straight World Series for three different teams. Don Baylor was a pretty good ball player, and an even better good luck charm. Between 1986 and 1988 he made the World Series with Boston, Minnesota and then Oakland. Instead of ensuring a fourth team a trip to the Fall Classic, Baylor retired after the 88 season. The odds of spectator being injured by a baseball at a MLB game are 300,000 to 1. But the odds of being caught on camera when you drop a foul ball are 1 to 1. 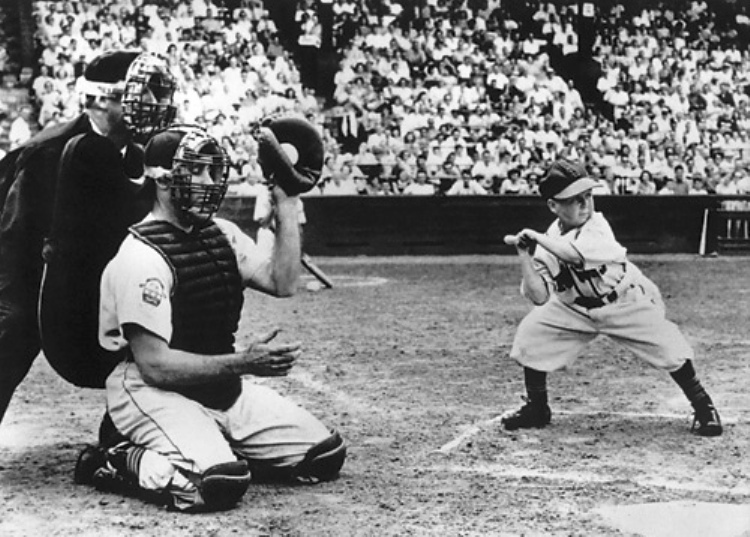 The shortest player in Major League history is Eddie Gaedel, who was the three feet, seven inches tall. In 1951, owner and showman Bill Veeck sent Gaedel in the game as a pinch hitter. Thanks to his tiny strike zone, he walked. Gaedel was promptly banned under the “making a mockery of the game” clause, causing Veeck to question whether five-foot-six inch Yankee shortstop Phil Rizzuto should be allowed to play. The tallest player in Major League history is pitcher Jon Rauch, who is six feet, eleven inches tall. Rauch may also have most aggressive neck tattoo in the history of the game. Jimmy Piersall celebrated his 100th home run by running the bases backwards. Washington Senator outfielder Jimmy Piersall was always a bit nutty. (In fact, he had spent time in an institution for “exhaustion” early in his career.) But he may have veered from crazy to just bad taste when he ran the bases backwards following his 100 homerun. Brothers Mike and Bob Garbank brothers finished a season with the exact same batting average. Some MLB players pee on their hands instead of wearing batting gloves to improve their grip. Moises Alou, who ended his career with 332 homers and .302 batting average, was the leading adherent to this unhygienic practice. Well, as long as he’s not peeing on your hands. Clarence Blethen injured himself with his own false teeth. They were in his back pocket when as he slide into second and he had to leave the game because of excessive bleeding. Yeah, it would have been more funny if had injured himself when they had still been in his mouth. Each baseball game has 12,386,344 possible plays. We can’t even figure out how somebody or something figured that out. Joel Youngblood got a hit for two different teams in two different cities on the same day. Deion Sanders is the only person to hit an MLB home run and score an NFL touchdown in the same week. Cal Hubbard is the only person in both the Football and Baseball Hall of Fame. 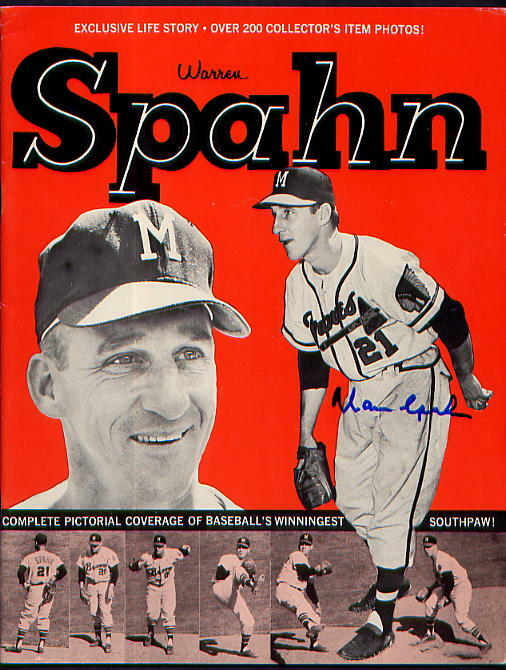 Warren Spahn finished with as many career wins as hits. Stan Musial recorded the same number of career hits at home and on the road. 1815 of Stan The Man’s 3630 hits were at home and 1815 were away. Not that’s a consistent hitter. The Minnesota Twins are the only team to ever turn two triple plays in one game. And they still managed to lose the 1990 contest to the Red Sox.